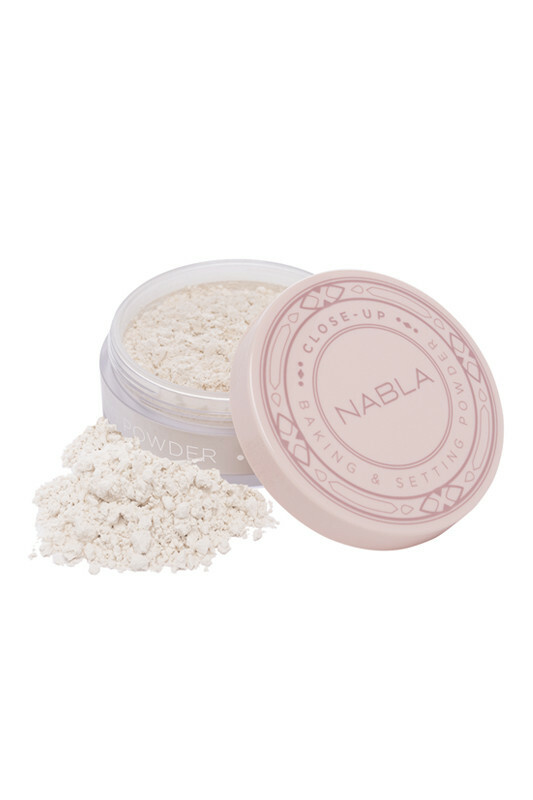 Nabla Vegan Translucent Loose Powder has a strong power to fix your make-up in all circumstances. Suitable for all skin types even the most sensitive, its fine texture gives the skin a matte, silky and smooth effect. Its transparent shade is universal from lightest to darkest shade. 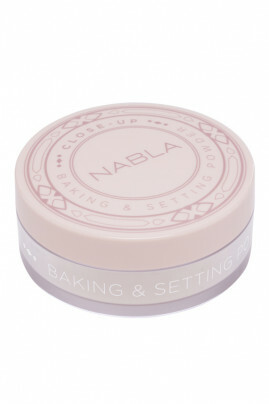 With Nabla Baking & Setting Powder, your makeup hold is prolonged and your complexion is visibly clearer! For an even & smooth complexion with NABLA Vegan Finishing Powder! 1. After applying your foundation or corrector, lightly shake the container so that a small amount of minerals fall into the top of the jar of Nabla Translucent Finishing Powder. 2. Swirl the Nabla Sponge into the powder, and tap off the excess. 3. Pat the face from inwards to outwards, buff the powder into the skin. 4. Wait 5 minutes and then, blending evenly as you go with the Nabla Powder Brush. Build the coverage in layers until your desired finish. NABLA Vegan Translucent Powder smoothes your skin for a clear complexion!